From a bit of online research, I’ve discovered that there is a specific fruit assigned to each year, a Fruit of the Year, if you will. 2009 was the year of the apple, in 2010 it was the pineapple’s turn, last year was mango’s chance to shine, and this year we celebrate the cherry – a favourite for deserts, yoghurt, cakes, sweets and shakes, but also wonderful eaten by itself. The cherry, almost too good to be true – beautiful, tasty and good for you! 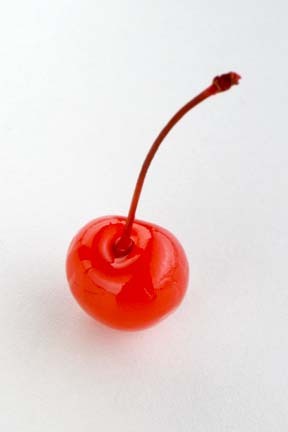 In mythology, cherries can symbolize fertility, merrymaking, and festivity. In Japan, where cherry blossoms are the national flower, cherries represent beauty, courtesy, and modesty. The ancient Chinese regarded the fruit as a symbol of immortality. In addition to being blessed with gorgeous looks, cherries are also something of a health marvel, packing a mighty punch for such a small fruit. They are an abundant source of anthocyanin (the red pigment in berries), an antioxidant which has been shown to reduce pain and inflammation, and is also said to aid in the reduction of heart disease and cancer. Anthocyanin has also been found to benefit the brain, improving one’s memory abilities. Cherries furthermore contain melatonin, an antioxidant known to regulate heart rhythms and the body’s sleep patterns. A veritable vitamin bomb, cherries are also rich in Vitamins A, C, E, potassium, magnesium, and iron.